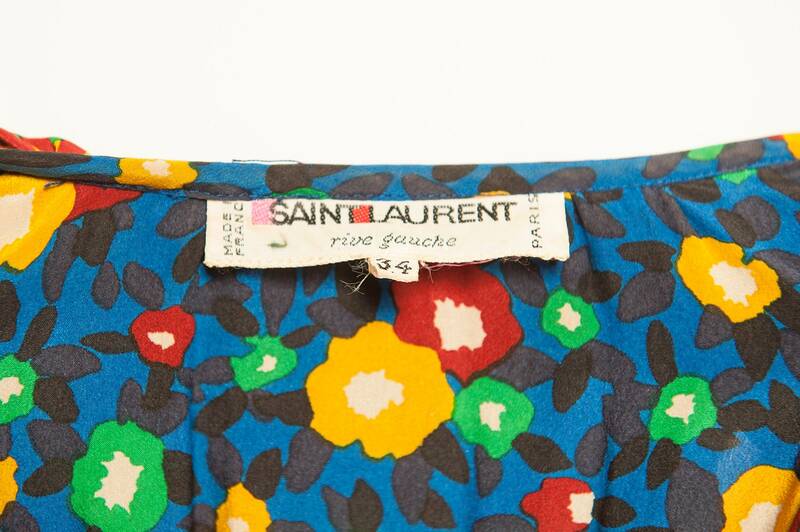 Silk day dress by Yves Saint Laurent from 1970's. Flared collar, mini tie neck, a belt (attached), puff sleeves, flower motif, pleated skirt. Size XXS. Good; torn near the zip (1 cm long).